The mission AOPA is to work for favorable treatment of O&P business in laws, regulation and services to help members improve their management and marketing skills; and to raise awareness and understanding of the industry and the association. AOPA holds a four-day exhibition and education program annually consisting of business and orthotic/prosthetic scientific topics—this event is the largest annual meeting of its kind in the US. The Amputee Coalition is the nation’s leading organization on limb loss, dedicated to enhancing the quality of life for amputees and their families, improving patient care and preventing limb loss. The American Board for Certification (ABC) is the national certifying and accrediting body for the orthotic, prosthetic and pedorthic professions. Since its inception in 1948, ABC has become the quality standard in orthotic, prosthetic and pedorthic certification and today has more than 14,000 certified individuals and over 7,000 accredited facilities. The Charcot-Marie-Tooth Association’s mission is to support the development of new drugs to treat CMT, to improve the quality of life for people with CMT, and, ultimately, to find a cure. As a subsidiary of the German Association of Orthopaedic Technology, ConFairMed has its roots in health crafts orthopedic technology. Interdisciplinary cooperation requires constant exchange both within the field and with the neighboring fields. The Confairmed is owner of the trademark “OTWorld”. The OTWorld leading partners from industry and academia, service providers and the various disciplines of rehabilitation teams in the care of patients. Mexico—National Member Society of ISPO works in collaboration with Uniting Frontiers to provide education and support to the orthotic and prosthetic professionals in the Latin American region. The Orthotics and Prosthetics Association of India is the leading national organization in India devoted to empowering the quality of life of persons with disabilities through innovative P&O services with collaborative team efforts duly eliminating barriers and discomforts and ensuring full independent living. Orthotics Prosthetics Canada (OPC) is the representative national organization for the prosthetic and orthotic profession. Its role is to protect the public and advance the profession of prosthetics and orthotics through quality standards of practice, professional credentialing, education and awareness. 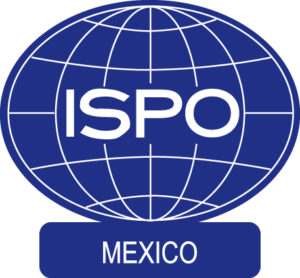 US ISPO is a National Member Society of ISPO, the International Society for Prosthetics and Orthotics. ISPO is a multi-disciplinary organization comprised of persons who have a professional interest in the clinical, educational, and research aspects of prosthetics, orthotics, rehabilitation engineering, and related areas. 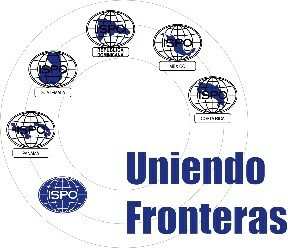 Uniting Frontiers is a collaboration between the five ISPO Member Societies of Panama, Guatemala, Dominican Republic, Mexico and Costa Rica. The organization has over 200 members and the primary focus is education.